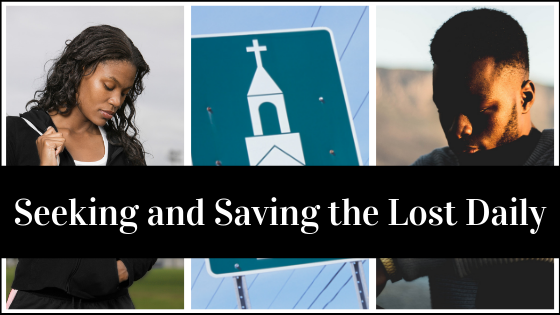 You may have heard… “Sharing the Gospel of Jesus/Seeking and saving the Lost is who we are and not just what we do.” For some of us including me, it’s difficult to wrap our brains around that truth. Still, our brain/intellect may not yet grasp it because our intellect is wired to handle facts and opinions. Yet, it is our heart that receives the truth of GOD’s word, accepts it, believes it and adjusts our attitudes to see, think and ultimately walk in Truth. Over a series of posts, I look to share how the truth of GOD’s word and how the LORD personally speaking to my heart, adjusted my ATTITUDE and freed me from the shackles of the fear of “not knowing what to say or how to approach people” and/or “being rejected by people.“ HIS illuminating words ended my ongoing anxiety to “find/make time” to seek and save the Lost in my daily walk. If you have experienced similar fears and anxieties, please read this blog series, study the associated scriptures and open your heart to hear the LORD. You too can be made free from fears that keep us from readily seeking opportunities to save the Lost. Please consider this… if LORD Jesus’ Disciples who ate, slept and followed HIM for three years, ended up denying HIM before HE died on the Cross and went into hiding after HE died; we must know that our LORD knows we will be equally as scared. Thus, GOD our Father equips us with everything we need to carry on LORD Jesus’ ministry. We have HIS natural example to follow. Most of all, HE returned to the Father and sent us the Holy Spirit, our Comforter (John 14:11-17). Now, we have the same power at work in us, as Christ Jesus, to believe, obey, love and do the greater works HE declared we will do.